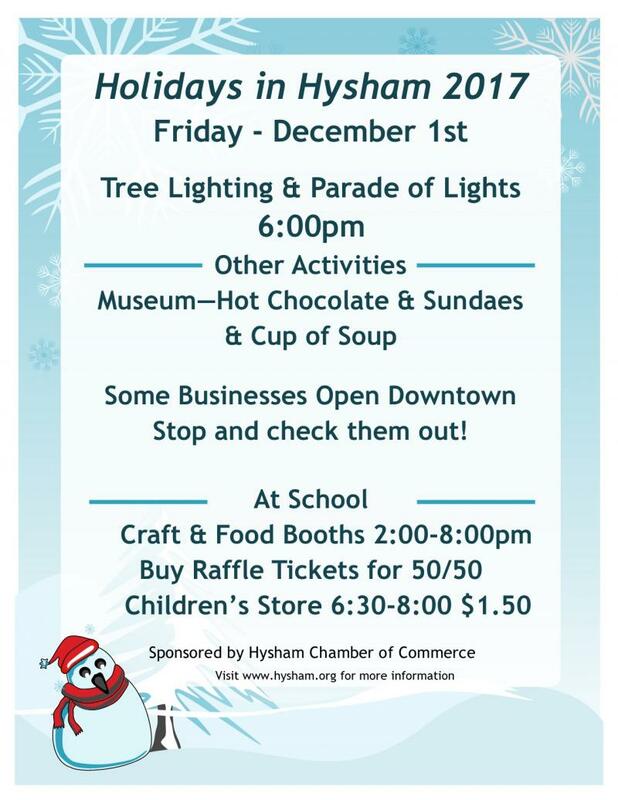 Holidays in Hysham is traditionally held the first Monday in December but new this year is a FRIDAY date. Businesses and others send greetings via holiday sign. Helping to erect the sign are Darcie & Kolton Klein, Marj Cunningham, and Karson Klein (pictured left) and Dennis Marks, and John & Leo Cunningham (right). Not pictured - Skip White. Craft Fair: Booths may be reserved for $15 by calling 342-5676. The school's multi-purpose room will be available for setup by 1:00 p.m. and open to the public by 2:00. The Fair closes at 8:00 p.m. and any drawings are held at that time. 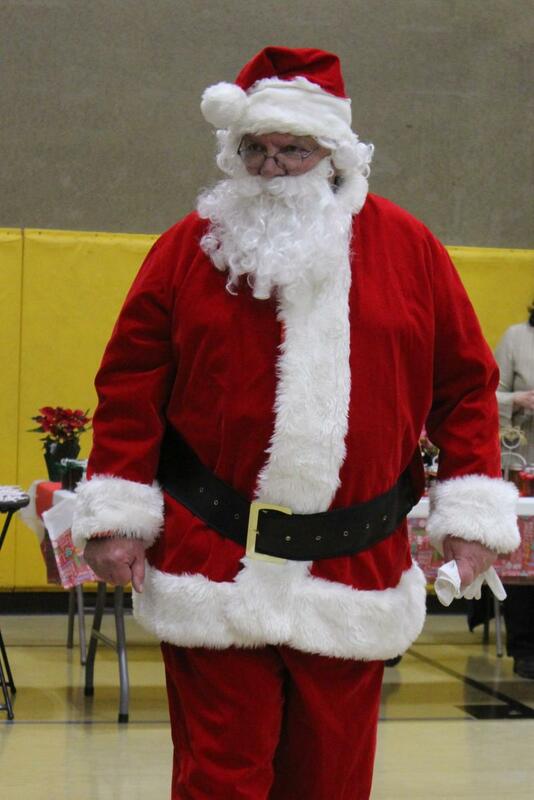 A Visit from Santa: Santa Claus will be present throughout the event to visit with children and hand out treats. Watch for Santa in the parade! Lighting of the Tree and Star: At 6:00 the tree is magically covered with lights--and the star on the water tower begins glowing as well! Parade of Lights: The parade begins immediately after the lighting of the tree. Awards are presented to the top three entries. Contact Marj Cunningham at 342-5521. Prizes: 1st - $50; 2nd - $30; 3rd - $20. Parade Winners for 2017 Announced! 1st Place - Stockman Bank; 2nd - Brunswick Bar; 3rd - CB&R 4-H Club. Congratulations to the winners and a thank you to all participants.